Many Armenian women fought in the Artsakh Liberation War in the Nagorno-Karabakh years ago, some of them serving as nurses, saving lives, others simply joined to fight in the front-line for their country. A few miraculously survived and returned home, to a future threatened by poverty, unemployment, and loneliness.The once courageous fighters, are vulnerable and shattered human beings today, barely making the two ends meet, living in extreme poverty, devastated, neglected and with no hope for better future. They do not receive any support from the Armenian government, no recognition for their contributions to the war, and continually struggle to create stability for themselves and their families. AIWA-SF was able to locate some of those mistreated veterans, to provide immediate financial support for their basic needs, with a longer-term objective in mind, helping them and their families in a more meaningful way in the future. Manushak Abgaryan, among survivors, raised her twin daughters, Arusyak and Suzanna, without any support, after losing her husband. The vivacious teenagers have music aspirations, attending Avet Gabrielyan’s Art School in Yerevan, with a big dream to have their own music studio one day. The mother continually struggles to pay for their tuition at the art school, and reached out to AIWA-SF for help. With the generous contribution of long-standing supporters of AIWA-SF, Rouben and Sofia Amirbekians, the organization was able to provide tuition assistance to the disadvantaged teenage girls, giving them the opportunity to continue their music education, graduating next year, with the hope to realize their dreams in the future. 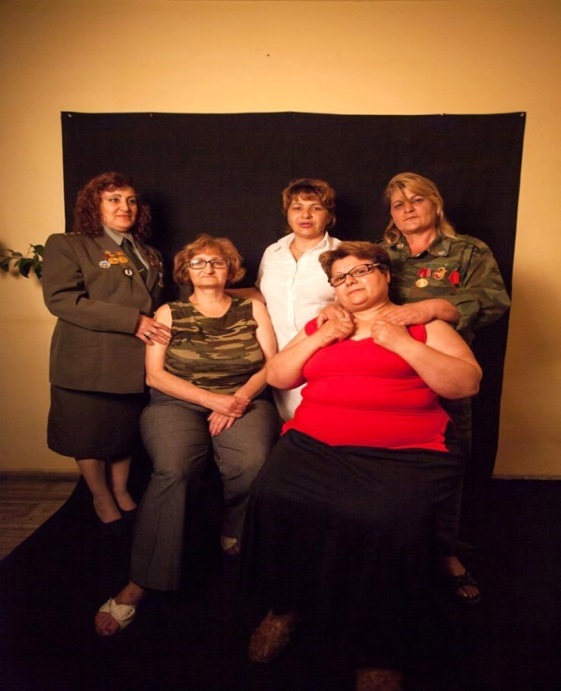 These heroes have a unique perspective that is outside of the accepted role of an Armenian woman, and AIWA-SF team is content to be able to help them, reviving that hope that they lost long ago. Please meet the brave, at the same time, helpless women, and listen to their absolutely heartbreaking stories in this video https://www.youtube.com/watch?v=uuTabGrWg2Y .